The narrator begins by introducing himself as John Brenwalter and explains that his father was a drunk and inventor. However, his father was not ruthless enough in his inventions to be entirely successful and so whatever money his patents earned were often used up in lawsuits. One day, the mother explains to the children that the father is dead after a meal. The mother insists she did not do it but it would be useful if John would go dispatch the Coroner so that a cause of murder cannot be deduced. In court, John pleads not guilt on account of the Coroner being a Democrat, and he a Republican. The Judge agrees that there was no point and lets him off. By the time John returns to the house the father has been buried in the backyard. When the mother applies for a death certificate and to claim the inheritance of his most latest invention which would make them rich, it falls into the hands of burreacracy and cronyism and is whisked away. At this point, the family must become criminals in order to sustain themselves. Over this time, they notice that their wine cellar becomes increasingly empty and they believe there is a ghost at work. One night, the entire family sits in the basement trying to figure out what is going on. A man comes creepy out of the dark and it is their father. The family climbs over one another to escape. In the tumult, the house was also set to fire and John does not know who survived. He return ten years later to examine the plot and discovers that the father had been buried alive but just at the top of a drainage which he was able to climb into and survive. The story itself is unsurprising for the most part. But it's the style that is rather enjoyable. 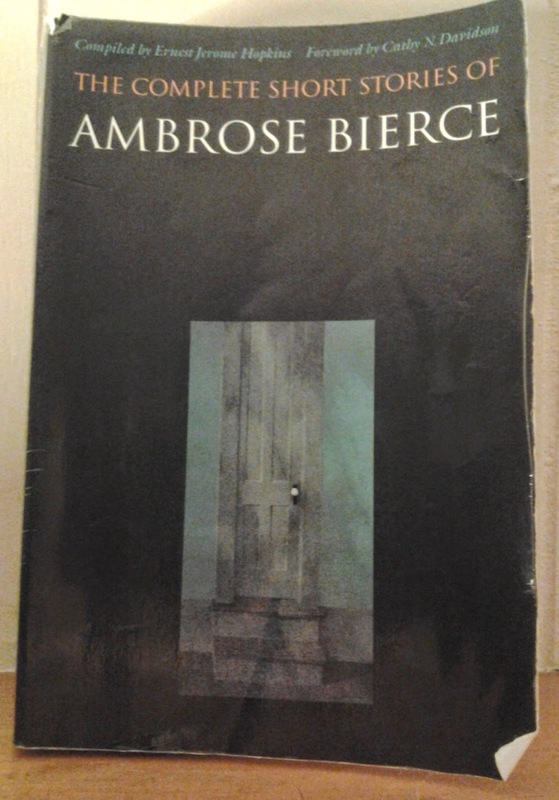 Here, Bierce provides his dark and evil but loveable characters who do bad things but sound the same way good people sound when talking about the commonalities of their life. Thus, his family committing murder or forging identities comes across like going to church or going to the grocery store.